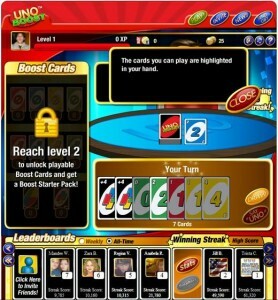 UNO Boost is a fast paced, single player experience of UNO with extra features, free to play in Facebook. You can still invite your friends, compete with them, for ranking, High Scores and Tournaments! 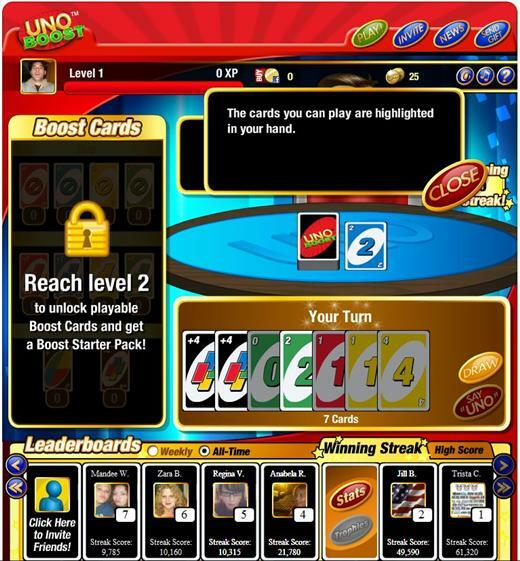 It’s all the classic fun you love about UNO in a single-player experience! 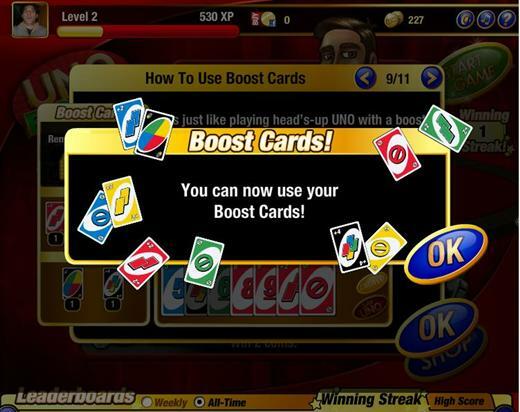 -Turn the tables on your opponent with Boost Cards. 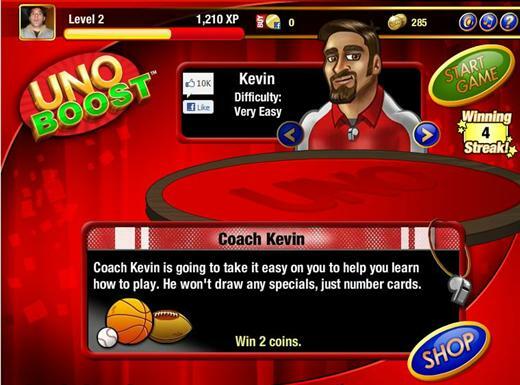 -Earn coins and level up as you face tougher and tougher opponents. 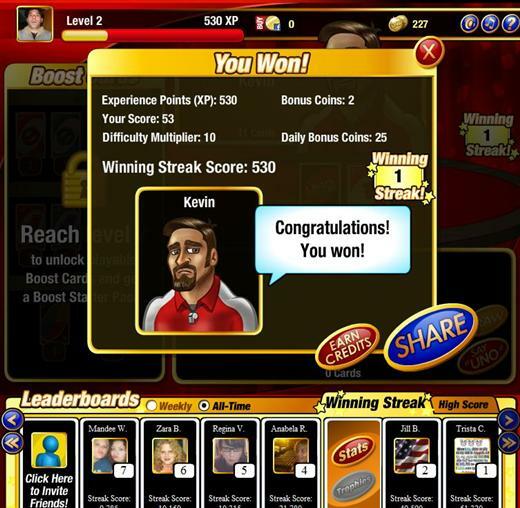 -Level up, go for a single game high score, or try for the win streak as you compete against your friends in weekly and all-time leader boards.